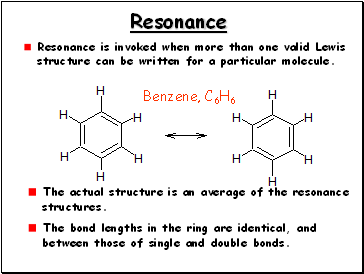 Resonance is invoked when more than one valid Lewis structure can be written for a particular molecule. 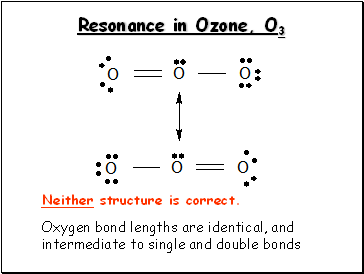 between those of single and double bonds. 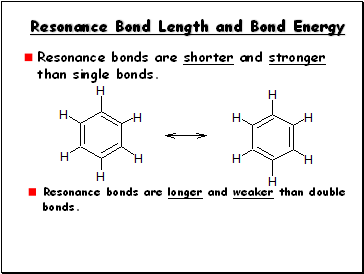 Resonance bonds are shorter and stronger than single bonds. 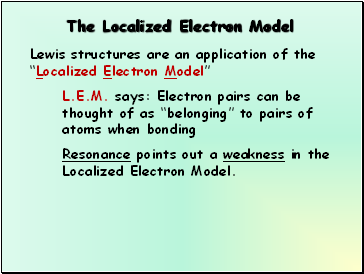 Resonance points out a weakness in the Localized Electron Model. 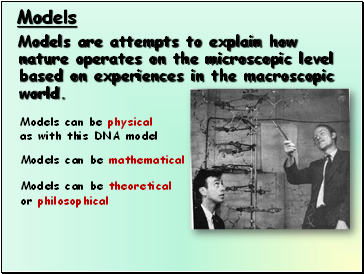 Models are attempts to explain how nature operates on the microscopic level based on experiences in the macroscopic world. A model does not equal reality. 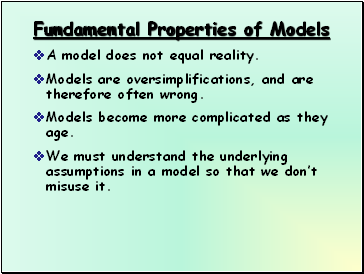 Models are oversimplifications, and are therefore often wrong. Models become more complicated as they age. 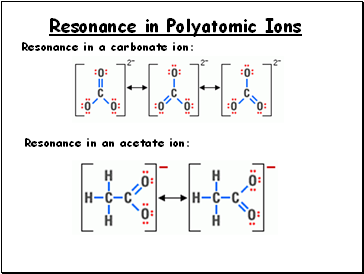 We must understand the underlying assumptions in a model so that we don’t misuse it.